Netflix has announced several multimedia extensions to accompany the ground-breaking eight-part natural history series Our Planet, which launches globally on Netflix on April 5. 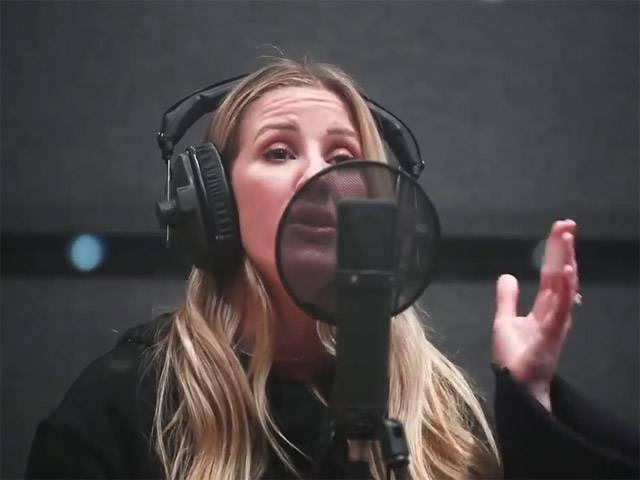 The series soundtrack, in partnership with Decca Records/Universal, will be released on April 5, 2019, series launch day, and features the powerfully moving score by Academy-award winning composer Steven Price (Gravity, Wonder Park) and the poignant original song "In This Together," performed by Ellie Goulding, which is co-written by Price and Goulding. This will be the first ever CD release using renewable seaweed packaging. The packaging is an ecological material made from algae and FSC pulp, Shiro Alga Carta, developed as a way to reproduce the damaging algal blooms of the Venice lagoon into a sustainable paper product. Due to its success, the concept has been extended to other fragile marine areas across the world. Known for speaking up on behalf of the planet and its species, Grammy-nominated singer Ellie Goulding was first to be approached by Price to develop the anthem track, 'In This Together'. "I felt like I was joining the ultimate team of earth defenders," she said of the project. "It's a series that simultaneously wakes you up to the emergency but also instils wonderment. Watch it, and you will never take the earth for granted again." Composer Steven Price has developed music that draws from each episode's diverse biome, allowing for a breathtaking and unified soundtrack, performed by the London Philharmonia Orchestra at Abbey Road. "For every moment across the eight films, from scenes of epic scale to those of incredible intimacy, my focus has always been on the emotional connection that the music could provide in support of the remarkable images. My hope is that the music for these films can take the audience on a real journey, helping to inspire the changes we need to care for our home." On April 2, viewers will be able to purchase Our Planet, the companion book to the series, by Alastair Fothergill, Keith Scholey, with Fred Pearce. Staying true to the series, the book will take readers on a journey across the globe's different biological realms to present stunning visuals of nature's most intriguing animals in action, and environmental change on a remarkable scale. With a keepsake package featuring debossing and foil stamping, this stunning coffee table book reveals some of the most amazing sights on Earth and reinforces the beauty and wonder of this place we all call home. The book will be published simultaneously across the globe: by Ten Speed Press in the US, by Bantam Press in the UK and in fourteen other languages. For additional information, visit the website here. Our Planet will be accompanied by an array of free online resources at OurPlanet.com to help people of all ages understand the importance of Earth's habitats and how they can help them thrive for generations to come. The site will go live on series launch day, April 5, 2019 and will help give fans a deeper understanding of the wider stories, issues and solutions profiled in the series through a number of additional films including behind-the-scenes footage. OurPlanet.com will also feature a state-of-the art interactive explorable globe taking us on a journey from the depths of the high seas to the hidden corners of our jungles, allowing us to see the world from a completely new perspective and showing the urgent action needed to protect and restore nature. OurPlanet.com will also is providing a wealth of educational resources, created in partnership with WWF, for schools, youth groups and families to engage young people in the global conversation around the series. These include downloadable classroom materials and guides for educators, an 'Our Planet Live' platform offering live link-ups with experts for classrooms all around the world, and a ground-breaking free nature ID app - Seek - developed for Our Planet by iNaturalist, which helps budding naturalists to gain a better understanding of their local environment and global biodiversity. In the ground-breaking Netflix original documentary series Our Planet, viewers will witness stunning, never-before-seen footage of wildlife and their habitats - while also discovering why the natural world matters to us all and what steps must be taken to preserve it. All eight hour-long episodes of Our Planet will become available to Netflix members worldwide on April 5, 2019. The series is accompanied by Behind-the-Scenes content which will launch simultaneously on Netflix. Produced by Silverback Films, Ltd. and in partnership with WWF, the landmark series is narrated by renowned broadcaster and natural historian Sir David Attenborough.